MiR Fits All Items Vest is one of a kind. This vest can carry it all. The MiR Fits All Items Vest or MiR F.A.I. 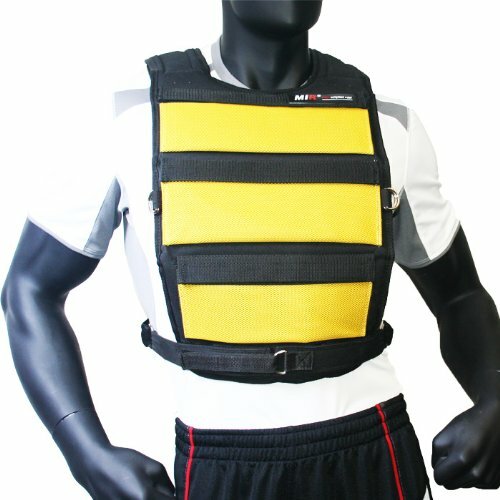 Vest incorporates your needs for a weighted vest with the stuff that you already have at home. What the MiR FAI Vest, its a vest that can carry all the items you have around your house and use it as weights. This is the less expensive way to get a weighted vest. You can simply add rolled up coins, old weights, and anything heavy and small. You can also be hands free and not worry about where you are going to put your keys, wallet or phone when you jog. You just stick them into your weights and instantly it adds resistance to your workout. It is the most economic vest that is on the market right now. Simply purchase this at a low low price, and add whatever you want to it. Here how it works. YES YOU CAN TO THE MIR F.A.I. VEST - ROLLED UP COINS- WALLET- KEYS - PHONE- MP3 PLAYERS/ IPODS/ MUSIC PLAYERS- SAND WEIGHTS- SMOOTH ROCKS - YOU CAN EVEN USE WEIGHTS FROM OTHER NAME BRAND VEST THAT WAS A DISPOIMENT AND USE THEIR WEIGHTS IN OUR LIFE TIME WARRANTY VEST. SIMPLY, YOU CAN ADD ANYTHING THAT WEIGHTS ANYTHING TO GIVE YOU A REAL WORKOUT. MIR F.A.I VEST IS SIMPLY UNIQUE AND EASY TO USE. NO YOU CAN NOT ADD TO THE MIR F.A.I VEST -SHARP ROCKS -LIQUID WEIGHTS -ANYTHINH SHARP THAT WILL CAUSE THE ITEM TO PUNTURE THE VEST. Besides the items above, you can add anything to the MiR F.A.I. vest. Simply make sure that the items fit into the pockets. Strap the items in and your good to go. International Customers: International Buyers are responsible for paying duties, taxes, and applicable customs brokerage fees separate from the merchandise cost. Buyers will generally pay these fees upon receipt of your shipment. 6 11x5inch pockets to insert anything that weighs a good amount. 1200 D-Nylon flap to cover the weight plates in full. ONE SIZE FITS ALL !!! 1 Velcro belt to keep the vest from shifting and prevents movement. 6 Webbed Netting over the pockets to ensure the pockets will not break.